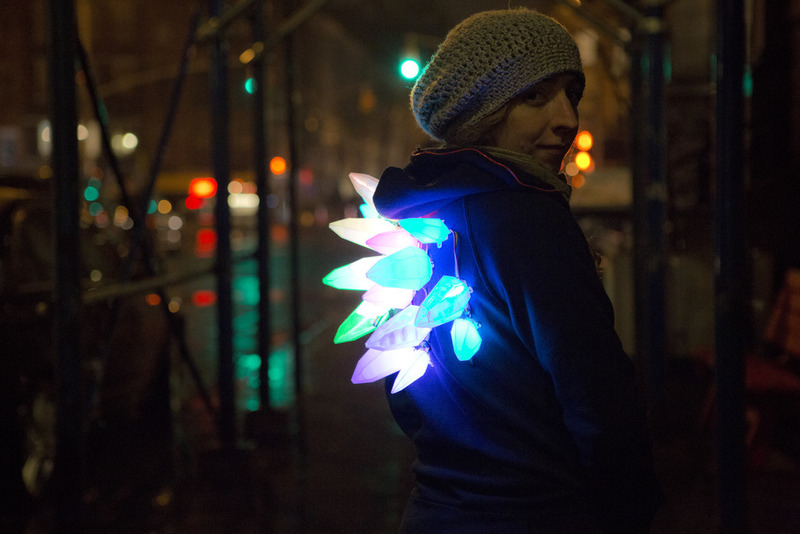 LED Stego Flex Spike Hoodie #WearableWednesday « Adafruit Industries – Makers, hackers, artists, designers and engineers! Rawr! Build a stego spike hoodie with glowing LEDs! This easy project mashes up 3D printing and sewing to make your own super-custom flexible spiky hooded sweatshirt. Watch the video on YouTube and read the complete guide on the Adafruit Learning System to make your own.